Let me share this wonderful parable told me by my friend, Navin Rai when we were together in college. It kind of shows how world is filled with wrong judgments made intentionally by few people fueled by pretext of acquaintances, family relationship and misuse of power and whether the ignorance and quality of the jurors also attributes the birth of such judgments which goes on to create the series of effects on the world is left to the judgment of my readers. Charlie Chaplin, the famous man who we know for the laughter and comedy told through the pure silence once disguised and participated in a “Charlie Chaplin Look-alike” competition. Now for my readers, who are not aware of such competition, then allow me to enlighten you with what it meant by ‘look-alike’. You see, there are many of us who look like certain celebrities, and we are sometimes famously called by their names as well. So our Charlie here went to participate in one such competition where people who looked like him were competing for the title of a person who looks like him. Funny enough, the result was astonishing. 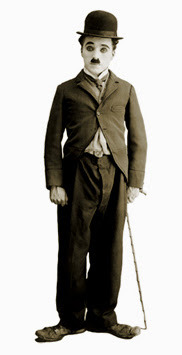 Charlie Chaplin stood third the “Charlie Chaplin Look-A-Like” competition. Whether he disguised so much so that he completely looked different or whether like it happens in many places much to the dismay of an honest winner, or the jurors were corrupted, one can draw one’s own conclusion, but the message was so clear. World is filled with many such wrong judgments.